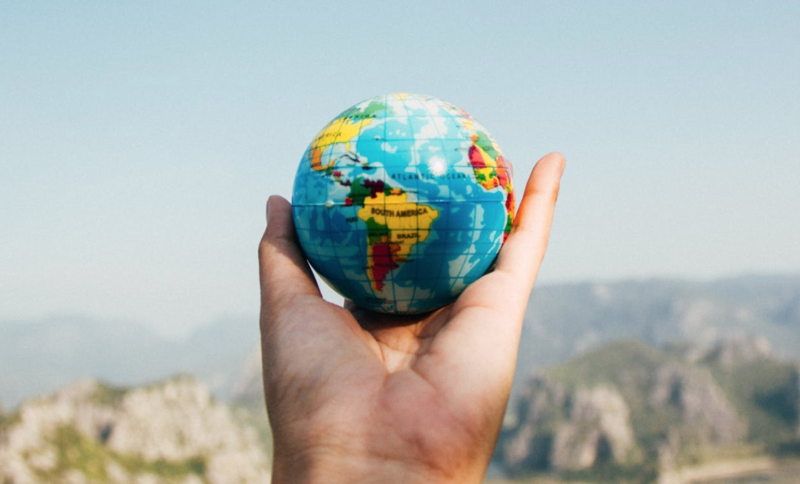 Learning Service: The Essential Guide to Volunteering Abroad aims to help volunteers make the most of their experience abroad and, most importantly, learn how to listen and help the communities they will be visiting. We spoke to three volunteers who have read Learning Service to see how their opinions on their own experience changed after reading the book. “Both during and after my three month placement abroad, I felt unsatisfied, even frustrated, by my volunteering experience, yet I was unable to quite summarise why it felt so negative. “The charity I volunteered with had offered training pre- and post-placement, had paired each UK volunteer with a volunteer from our placement country, and had offered learning and reflection experiences throughout — yet somehow, I and the other UK volunteers felt useless, under-qualified, and as though we had achieved a perpetuation of the ‘Western saviour’ stereotype. Though there were indeed many structural issues (such as sending unqualified students to teach English and Maths in schools), within two pages of Learning Service I now recognised some of the issues we encountered were, in part, very much down to ourselves. “All UK volunteers were so focussed on wanting to ‘make a difference’ that we resisted the organisation’s emphasis on personal growth and learning. Because we all shared this same misconception, we frequently raised our frustrations to each other, which only served to preserve our illusion that an emphasis on personal gain was entirely selfish on our part. In fact, during the end-of-placement reflections this was the primary criticism from most, if not all, UK volunteers — even those on sister-projects which had run in tandem to us, and with whom we had had little to no contact to discuss these thoughts. This book is essential for improving responsible volunteering at every level of involvement. “Though we had ultimately meant well, our widespread unhappiness and inability to recognise that, inevitably, we had to learn meant that many volunteers left before the end of the placement, which caused further issues in itself: many local hosts whose volunteers had left felt upset, insulted even, and as though their hospitality had gone unappreciated. “With 15 years of involvement with medical service and education missions, most of my international development experience has been as and with highly trained medical professionals. However, much of the content of Learning Service is highly applicable in this field. Of particular note is the concept of unintended consequences of purportedly ‘good’ actions. In the book, one example is undermining local government by ‘empowering’ parents. In my experience, providing short-term medical care has potential to undermine the dedicated, established local providers. “Learning Service discusses one aspect of volunteerism that is often ignored. That is the idea that inappropriate and poorly run volunteer experiences not only have the potential to harm the local community, individuals and ‘the cause’, but can also adversely affect the volunteers’ commitment to humanitarian work. I have seen this first hand with new volunteers being disillusioned by an occurrence that they could recognize as flawed, but were too inexperienced to recognize as modifiable, and therefore they were dissuaded from further volunteer work. “Not only does Learning Service include practical advice for would-be volunteers, but also the philosophical perspectives on how and why such steps are vital for organizations and individual volunteers. “I really enjoyed this book and I learned so much about volunteering. I wish I had the opportunity to learn the valuable lessons from Learning Service before my time in Malawi. “After reading the section of Learning Service regarding the importance of volunteer support before travelling to your new destination, and opportunities for reflection after volunteering, I realised that the organisation I volunteered with hadn’t offered these services effectively and thus, when we began teaching, we didn’t really know what we should be doing. “On reflection, this means that our classes weren’t as effective as they could have been, especially considering we were all trained or in-training teachers. Had I had the information from Learning Service beforehand, I may have pushed more for support, or worked harder to find things out for myself. Although I did try to learn some key phrases in Chichewa, I probably didn’t try as hard as I could have, possibly due to no one from the organisation suggesting we do such things, or anyone who had volunteered previously mentioning it. Had I had the information from Learning Service beforehand, I may have pushed more for support. “However, I still believe (especially after reading the book) that the experience I had was an overall positive one, especially regarding my own personal development and building my skillset. You can get your copy of the Learning Service book from Amazon and from bookshops around the world. This piece was first published on Medium.com.